lost my password so i haven't been able to post anything in a while so here are the two bucks i killed with my Bob Lee recurve this season. 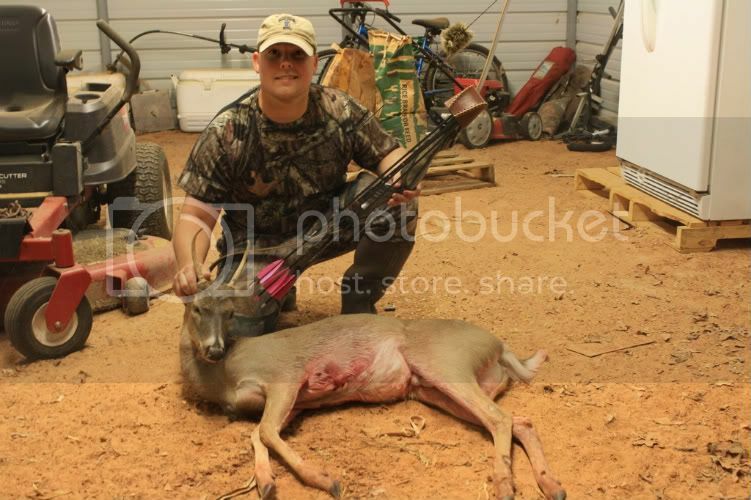 The 8 point was killed the 2nd week of bow season and the spike was killed 11-17. Congratulations on some fine shooting. That is a stud 8 point! !Congrats on both deer. Congrats! 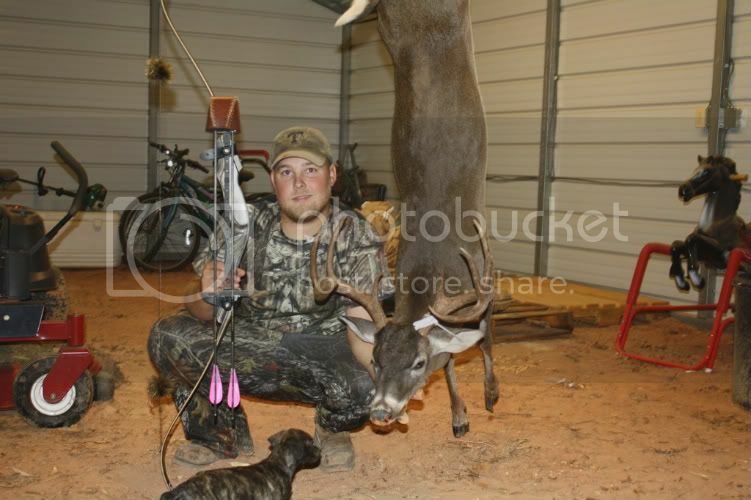 Beautiful deer, and a nice looking brindle pup too! Looks like youre having a great season. Well done! Boy that 8 point has very dark hair. What a beautiful deer.